Mice from Logitech’s MX Master and MX Anywhere lines are among the best currently available for non-gaming needs. Building on the successful lineage, Logitech recently announced updated versions of both units that’ll be available in the coming weeks. The Logitech MX Master 2S and the MX Anywhere 2S feature an improved Darkfield high-precision sensor with a maximum resolution of 4,000 DPI (it can be set in increments of 50 DPI from 200 to 4,000). As you may know, Logitech’s Darkfield sensor is quite versatile and can track across a variety of surfaces including glass. 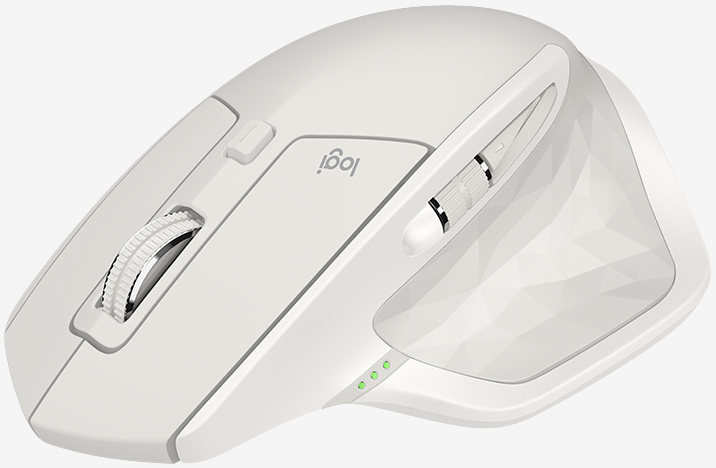 Logitech’s latest mice also get a bump in the battery department. A new 500mAh rechargeable Li-Po battery can provide up to 70 days of use on a single full charge (depending on use of course). The original MX Master that Steve reviewed in 2015 was only rated for up to 40 days on a single charge. The MX Master 2S and the MX Anywhere 2S are both compatible with Logitech Flow, a free download as part of the Logitech Options software that lets you control up to three computers with one mouse. Logitech says you can even copy and paste content between the trio of machines. Logitech's new pointers will be available beginning this month via select retailers and on its website in graphite, midnight teal and light grey colors. The MX Master 2S carries an MSRP of $99.99 while the travel-ready MX Anywhere 2S will command $79.99.